Subscriptions for the Spring Term are now due. Subs can be paid by Cash (ask for a receipt) Cheque or BACS. 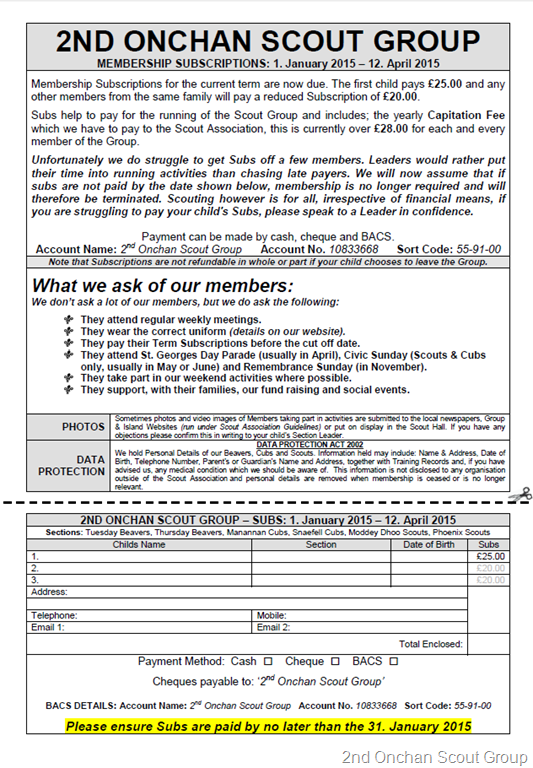 Payment of Subs should be made by the end of January 2015, for membership in the Scout Group to continues. Subs help to pay for the running of the Group and cover things such as the Capitation we have to pay the Scout Association for each member, as well as the running costs we have for our Scout Hall. 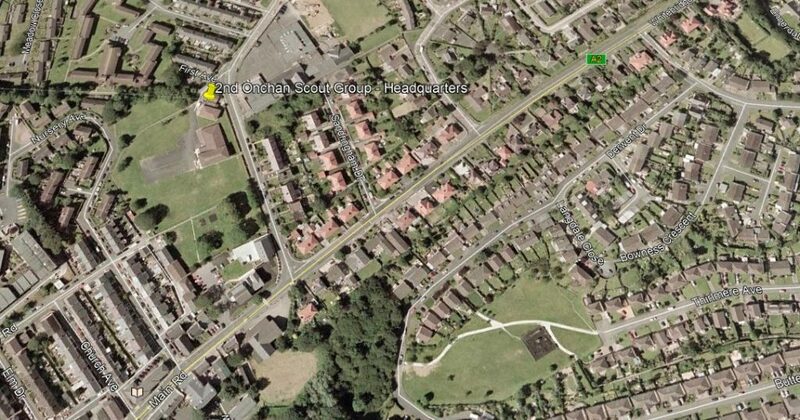 The Groups Fundraising efforts and the moneys we receive from renting our hall out to other users, keeps our subs around 50% below what they otherwise would be.